The northern redbelly dace x finescale dace hybrid (Phoxinus eos x P. neogaeus) was classifed as a Montana species of special concern, Class C (Hunter 1997). It was placed on the species of concern list due to its rarity and unusual form of genetic reproduction (Holton and Johnson 1996). Montana appears to be the only state that designates special status for this hybrid fish. However, South Dakota, North Dakota and Nebraska have granted special status to the finescale (P. neogaeus) and northern redbelly dace (P. eos). A 2011 status review by Bob Bramblett and Dave Stagliano found that they should be considered a state rank 2 fish. Northern redbelly dace are widely distributed in the north half of North America, from the Rocky Mountain front to the East Coast, with isolated populations in Manitoba and Saskatchewan (Scott and Crossman 1973). In Montana, northern redbelly dace are fairly widespread east of the continental divide. Finescale dace have a similar range but distribution in the United States west of Minnesota is limited to glacial relict populations (Scott and Crossman 1973; Hubbs and Lagler 1970). Hybrids of the two species are found throughout New England west to Nebraska, Colorado and Montana and into Alberta (Dawley et al. 1987). There are no official records of finescale dace in the state (Holton and Johnson 1996). The finescale dace has been found in the Milk River drainage in the Cypress Hills, just over the Canadian border (Scott and Crossman 1973). In Montana, research and surveys for the hybrid dace have been limited. The hybrid has been identified from about 13 waters (Figure 1) compared with 49 occurrences of northern redbelly dace (Figure 2). The University of Montana genetics lab did electrophoresis analysis of twenty samples of Phoxinus spp. from the Pine Butte Fen, near Choteau. Two of the samples were from hybrid fish, and the rest were northern redbelly dace (Allendorf 1991b). The hybrid dace has recently been identified from Siparyann Creek on the Charles M. Russell Refuge (Bramblett and Zale 2000). Figure 1. Distribution of northern redbelly x finescale dace hybrid (MRIS, January 19, 2001 modified with added sites from Bramblett and Zale 2000 and Allendorf 1991b). Figure 2. Northern redbelly dace distribution in Montana (MRIS, January 19, 2001). There is no easy field technique to differentiate the dace hybrid from the northern redbelly dace (Holton and Johnson 1996). According to William Gould (Emeritus Professor of Fisheries, Montana State University) the hybrid dace can be differentiated from the northern redbelly dace by pharyngeal teeth counts. Northern redbelly dace have pharyngeal tooth counts of 0,5 – 5,0 and finescale dace has counts of 2,5 – 4,2. Hybrid Phoxinus spp. have intermediate counts such as 1,5-5,1 or 1,5-4,1 or 1,5-4,0. New (1962) gives a detailed description of morphometric differences between the species. Two years of experiments on New England populations indicate that the hybrid dace utilize a unique reproductive strategy called gynogenesis (Dawley et al. 1987). The hybrid dace are female clones with identical eggs. In gynogenesis, sperm from the male of a sexually reproducing related species is needed to stimulate egg development, even though the genetic material is not incorporated into the offspring. Entire populations can have the same genes. In Minnesota several populations in the same vicinity are genetically identical (Schlosser et al.1998). In Montana, preliminary studies indicate that at least two genetically distinct clones occur in the Pine Butte Fen (Allendorf 1991a). Studies by Goddard et al. (1998) have shown that some female hybrid dace clones reproduce by cloning while other individuals make haploid eggs that can be fertilized by northern redbelly dace to produce diploid northern redbelly dace offspring. Northern redbelly dace prefer quiet waters from beaver ponds, bogs and clear streams (Scott and Crossman 1973, Holton and Johnson 1996). The finescale dace likes similar habitat but is also found in larger lakes. Phoxinus spp. spawn in the spring and early summer (Scott and Crossman 1973). Schlosser et al. (1998) studied responses to environmental stresses on the hybrid, finescale and northern redbelly dace. He found that the hybrid had a greater physiological tolerance and survived longer in oxygen stressed environments than the other two species. Further inventory is needed to better define Phoxinus spp. distribution in Montana. Due to difficulties of field differentiation it is likely that some waters thought to contain only northern redbelly dace may also have the hybrid. Phoxinus spp. are not extremely common in Montana. Dr. Robert Bramblett (personal communications) has conducted surveys on 43 prairie streams of the Missouri and Yellowstone Rivers and identified Phoxinus spp. at just three sites, one of which contained the hybrid. Few prairie streams in Montana have the clear pool-type habitat preferred by Phoxinus spp. Due to the limited distribution and knowledge of this species it is important to reduce impacts to their known habitat, such as is described for Big Coulee Creek Montana (Palmer 1994). Changing the status of the hybrid from a Class C to S2 should be considered based on the Natural Heritage Program’s ranking system. An S2 ranking is warranted since less than 20 different populations have been identified in the state and because little is known concerning its distribution and biology. Northern redbelly dace should be further evaluated as a special status species. With only about 50 occurrences identified in the Montana River Information System and limited knowledge about its biology an S3 ranking may be appropriate. The special status of this species from surrounding states also serves as a warning that special designation in Montana may be needed. Allendorf, F.W. 1991a. All female species of fish at Pine Butte Preserve. University of Montana, Missoula. Allendorf, F.W. 1991b. Letter to David Carr, Pine Butte Swamp Preserve. University of Montana, September 6, 1991. Bramblett, R. G. and A.V. Zale. 2000. The ichthofauna of small streams on the Charles M. Russell National Wildlife Refuge, Montana. Intermountain Journal of Sciences 6:57-67. Bramblett, R.G. 2001. 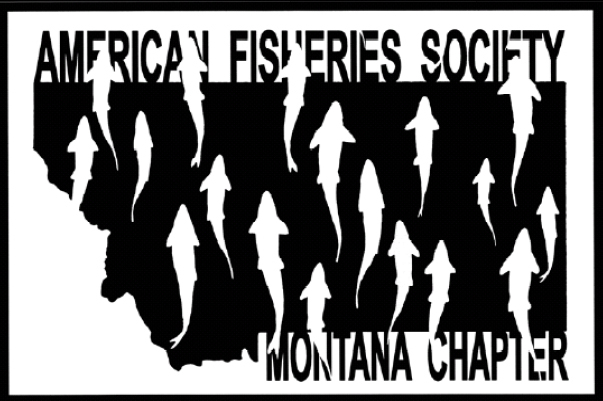 Montana Cooperative Fishery Research Unit. Department of Ecology. Montana State University. Dawley, R. M, R.J. Schultz and K. A. Goddard. 1987. Clonal reproduction and polypoidy in unisexual hybrids of Phoxinus eos and Phoxinus neogaeus. Copeia1987: 275 – 283. Goddard, K.A., O. Megwinoff, L.L. Wessner, and F. Giaimo. 1998. Confirmation of gynogenesis in Phoxinus eos-neogaeus. The Journal of Heredity. 89(2)151-158. Gould, W. R. 2001. Emeritus Professor of Fisheries, Montana State University. Letter dated March 12, 2001. Holton, G.D. and H.E. Johnson. 1996. A field guide to Montana Fishes. Second edition. Dave Books editor. Montana, Fish, Wildlife and Parks, Helena, Montana. Hunter, C. 1997. Fishes of special concern: an update. Montana Outdoor, November/December: 26 – 27. Hubbs, C.L. and K.F. Lagler. 1970. Fishes of the Great Lakes Region. University of Michigan Press. MRIS. 2000. Montana River Information System web site. January 19, 2001. New, J.G. 1962. Hybridization between two cyprinids, Chrosomus eos and Chrosomus neogaeus. Copiea.1:147-152. Palmer, T. 1994. The Wonder Minnow. Montana Outdoors. July/August;42-43. Schlosser, I.J., M.R. Doeringsfield, J.F. Elder and L. F. Arqayus. 1998. Niche relationships of clonal and sexual fish in a heterogeneous landscape. Ecology: 79: 953-968).